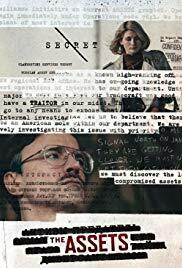 1985 serves as the backdrop to the final showdown of the Cold War when Sandy and her partner Jeanne Vertefeuille vowed to find the mole that would turn out to be the most notorious traitor in US History, Aldrich Ames. Sandy is in a race against time to save the Soviet intelligence officers from being caught and killed. Living her own double life at home, this beautiful wife and mother vowed to stop at nothing until she uncovered the truth.